Following his ace drop on Fright Recordings, Anton Maiovvi assimilates his soul into an array of vintage hardware for Caravan. 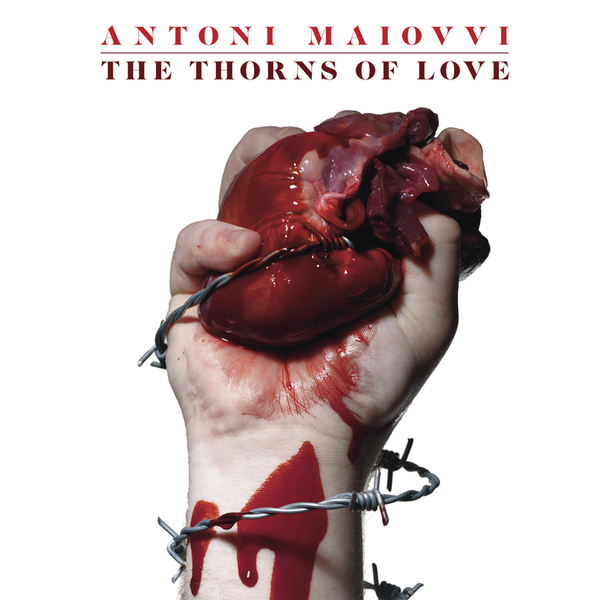 As the sleeve states "The Thorns Of Love is dedicated to those moments of murderous heartbreak" and sees Antoni articulate his pain via the medium of heroic Italo disco with oodles of arpeggiated basslines. 'This Is The Beast' cuts a melodramatic figure with cinamtic synth arcs and cruising machine rhythms. 'The Sigh From The Sky Was A Lie Without Doubt' hits a tender spot of throbbing disco with heartaching chord changes and 'Treason' really nails the vibe with a sparse solo piano composition. The 12 minute 'Class Dagger' furtively guides us from stirring Carpenter-esque kosmiche to bold rolling drums and onto a fantastical widescreen ending, before finishing with the trippy Balearic prog of 'Horsehead Blue'. As always Maiovvi's sense of narrative and structure is acutely tuned for maximum dramatic impact.